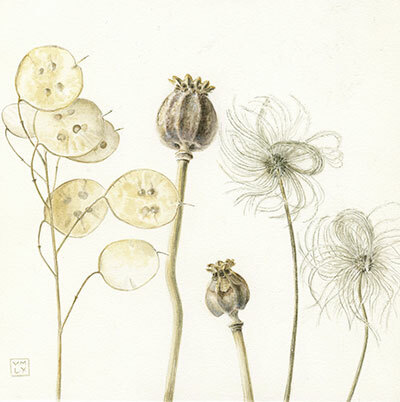 As well as botanical subjects, Louise paints other found natural objects. Since early 2018 she has been working as visiting artist with Fern Verrow biodynamic farm in Herefordshire painting ‘plant portraits’ of their wonderful produce. A founder member of Amicus Botanicus, Louise has exhibited with the group since 2008. She also exhibits regularly in Wales. 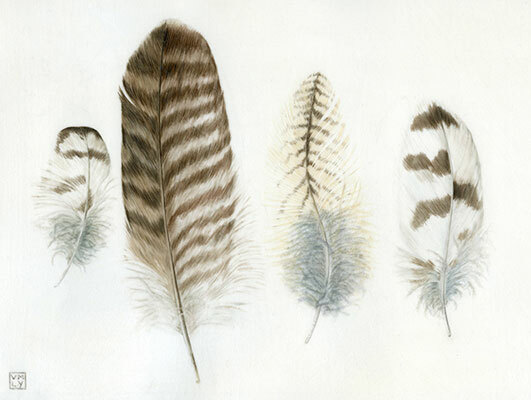 Louise has work in private collections in the UK and the USA. In 2015 her painting 'Owl Ghosts' was bought by the Tabernacle Trust for the permanent collection of Welsh contemporary art at MOMA Wales, Machynlleth.